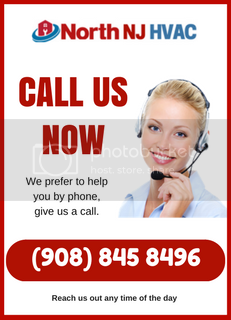 North NJ HVAC Services is a leading air conditioner repair company in the area of Newark, New Jersey. Rising above the competition, we strive to give our customers the best service possible in a timely, affordable manner. Our customer reviews and testimonials speak for themselves, displaying why we are the best HVAC company in the area. Throughout our many years of experience, we are well rounded and can solve just about any HVAC issue. Confident in our work, we offer customers a 100% guarantee on all our services. Allow us to show you why we are the best selection around the area. With our available services, customers can be confident that we have a solution to any heating, ventilation, or air conditioning problem. 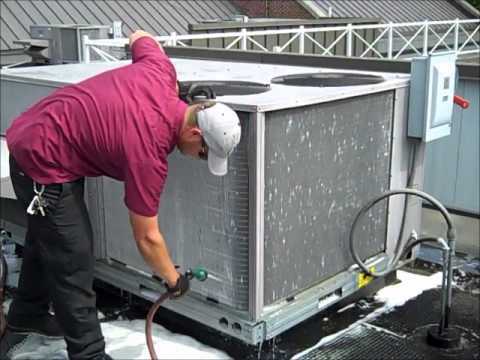 A service that we pride ourselves on offering is our air conditioning coil cleaning service. Many times, air conditioning system units malfunction as a result of dirty coils that consumers are many times unaware of. Because dust and debris can accumulate on an air conditioner rather quickly, this blocks the airflow, making your HVAC system to have to work more than necessary. This winds up costing you more time, money, and unnecessary stress when trying to understand why your AC unit is malfunctioning. Cleaning the coils on your air conditioner often is vital to having a properly functioning system and avoiding airflow from being blocked. Our staff has the right equipment, promising methods, and the knowledge to take care of this service for you quickly and effectively. This ensures your HVAC compressor runs at a normal rate, expanding the life of the compressor motor. Our certified technicians will be able to assist you with proper solutions all at a reasonable cost. There are also never any overtime charges in the case that our technicians take a bit longer than scheduled. They are highly trained, offering quality workmanship that you can count on. Feel free to ask them any question pertaining to your unit. With their years of experience, they are able to give you honest answers and suggestions. Contact us today to discuss coil cleaning for your air conditioning unit. Explore our different options regarding your particular case and decide what service is best for you. Our consultants will be happy to answer any additional questions you may have about our products or services. At North New Jersey HVAC, we have expanded our services to the following areas: Bergen County, Morris County, Hudson County, Essex County, Passaic County, and Union County. Our member service representatives are available any time of the day. Phone (908) 845-8496 to book a coil cleaning for your air conditioning system and enjoy the lasting benefits it will bring. Your heating, ventilation, and air conditioning system unit will thank you greatly by giving you the temperature you need on a hot New Jersey day.